Select this Pigeon Forge cabin rental with pool access and WiFi in Mountain Park Resort as your getaway to the Tennessee Smoky Mountains! 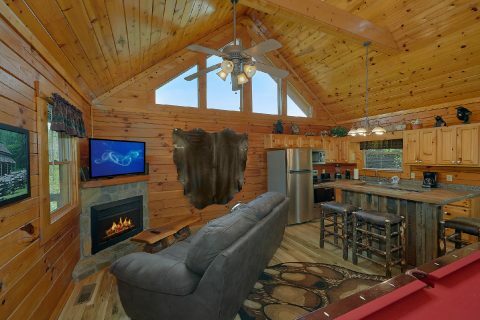 "Angel Haven," a beautifully decorated Pigeon Forge cabin rental with pool access, rests just off the action packed Pigeon Forge Parkway in Mountain Park Resort. 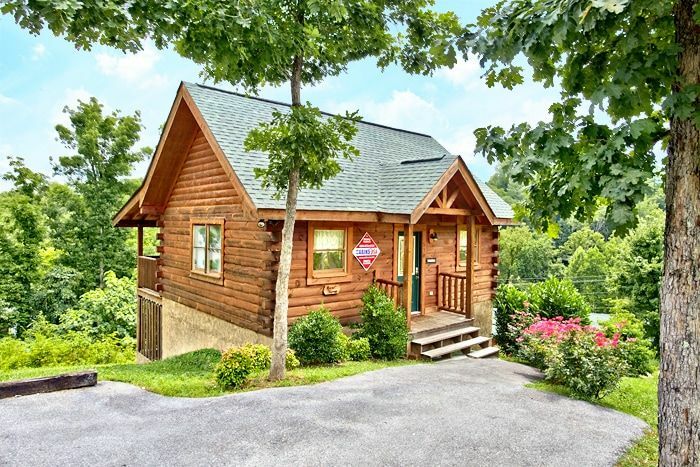 This 1-bedroom cabin in Pigeon Forge sleeps up to four guests in comfort, and its location places guests in the heart of Pigeon Forge - perfect for couples and small families looking to experience that action packed weekend getaway from the everyday norm. 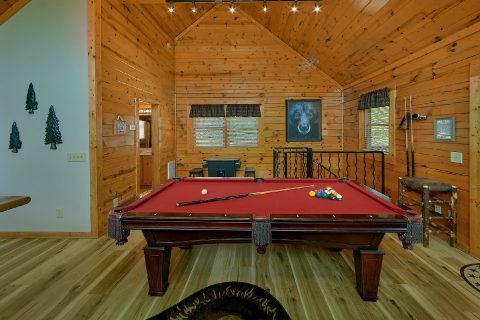 While your cabin places you close to all the attractions of the Smokies, you'll find plenty to love inside your cabin as well. You'll find your own relaxing haven when you descend the spiral staircase into the master suite. Here, you'll find everything you to relax with an expansive king size bed, in-room jacuzzi, private bath, personal television. 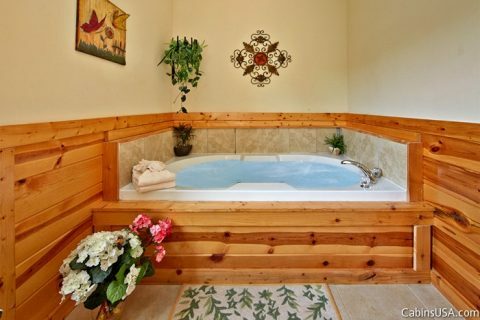 The master suite also provides access to the lower covered deck's year-round hot tub, where you can relax at the end of a day of adventure in Pigeon Forge. 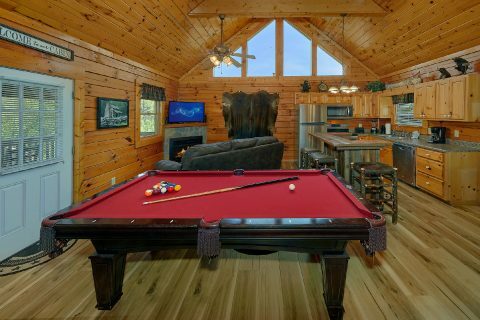 There's plenty of exciting entertainment options at your cabin as well. 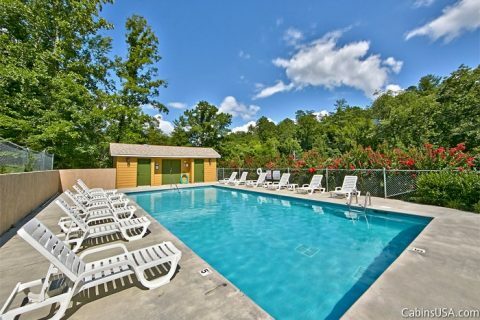 In the summer, everyone can enjoy hours of fun at Mountain Park's resort swimming pool. Back at the cabin, plenty of entertainment awaits as well. Play games of pool on the full-sized pool table for some friendly competition. Your cabin rental's WiFi allows for Internet access throughout the cabin, great for streaming music, movies, and games on your vacation. Your cabn also offers practical and convenient features. 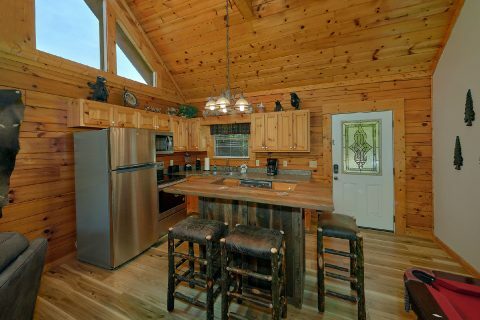 The fully equipped kitchen and outdoors gas grill let you enjoy cost-effective meals in your cabin. You also save space in your suitcase by taking advantage of the in-cabin washer and dryer. 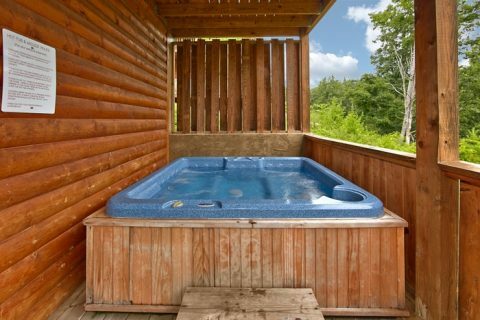 "Angel Haven" is a terrific choice for couples and small families wanting to stay close to all the action. 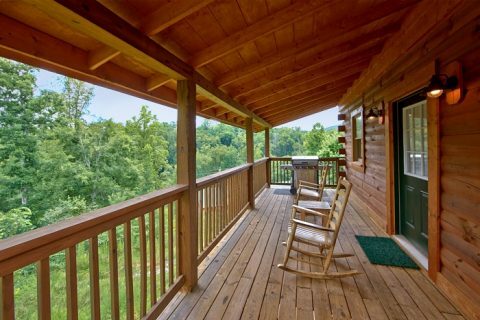 This Pigeon Forge cabin rental with pool access is the first step towards a memorable vacation, and you'll enjoy a 15% booking discount when you book online!